If you have ongoing fatigue, brain fog, muscle aches or twitching, flu-like symptoms that come and go, or pain for no apparent reason -- you may have Lyme disease or another related infection. Many people with Lyme disease have no memory of a tick bite and have never had a rash. Even if you’ve been treated for Lyme disease, these symptoms can persist. Dr. Lynne R. Mielke and Sandi Kreizenbeck, DNP, at Optimal Health Spectrums in Pleasanton, California, offer diverse integrative therapies to effectively and safely treat Lyme disease. Please contact them to schedule an appointment and learn how herbals, IV therapies, and other treatments can heal Lyme disease. Lyme disease is an infection caused by bacteria that are transmitted by ticks to people. In California, the disease is endemic and is carried by ticks in all regions of our state and throughout the world. A Lyme tick can be the size of a poppy seed and can bite and fall off, so many people do not even know that they have been bitten. Some people infected with the bacteria get a rash that develops three to 30 days after the tick bite. The rash gradually expands out from the site of the bite. As the rash gets larger, it may take on the telltale bullseye pattern, but not always, and many people never get a rash. Half of all patients report flu-like symptoms within the first week after the tick bite, including fever, chills, headache, fatigue, and aching muscles and joints, and these symptoms may persist for years. 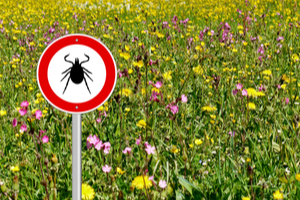 At Optimal Health Spectrums, Lyme disease is treated primarily with a natural herbal approach. Certain herbs provide broad-spectrum antimicrobial action, yet they’re gentler and less toxic to your gut than antibiotics. We may also recommend other immune-boosting therapies to help your body fight the infection, such as essential oils, IV nutrition or ozone treatments, and nanoparticle silver. If you have severe symptoms, you may need prescription antibiotics or other medications. You can count on us to develop the best treatment plan to restore your health. Some people continue to experience fatigue, pain, or joint and muscle aches after they’re treated for Lyme disease. 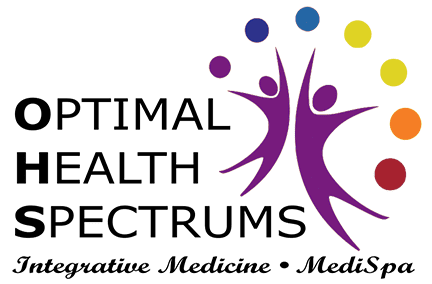 If you’ve already been treated and still have symptoms, please don’t hesitate to contact Optimal Health Spectrums to learn how our integrative options may help. Click here to read more about Lyme disease and other stealth infections.